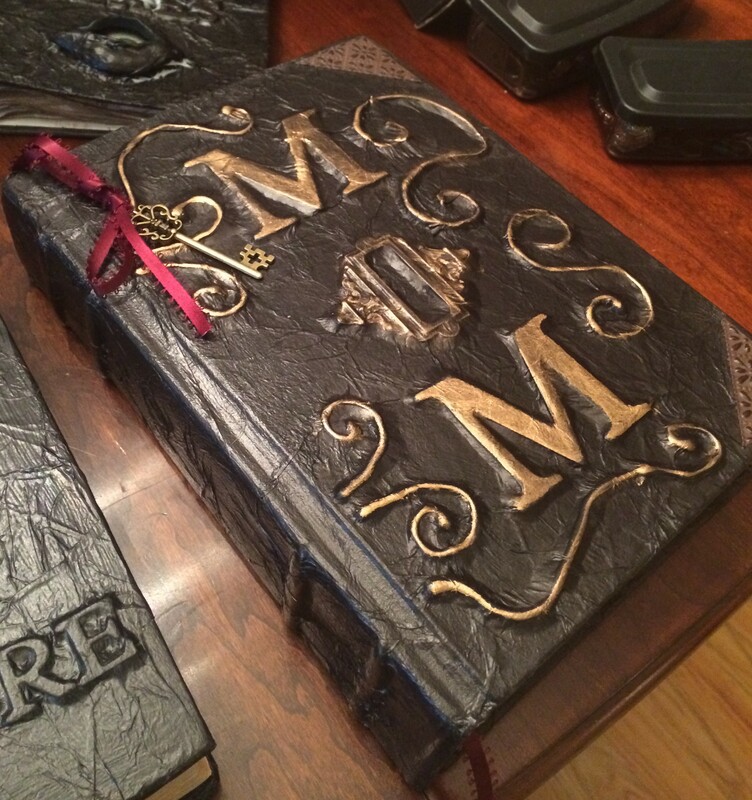 This is the Evans family spell book, full of secrets. Appropriate for MrE. 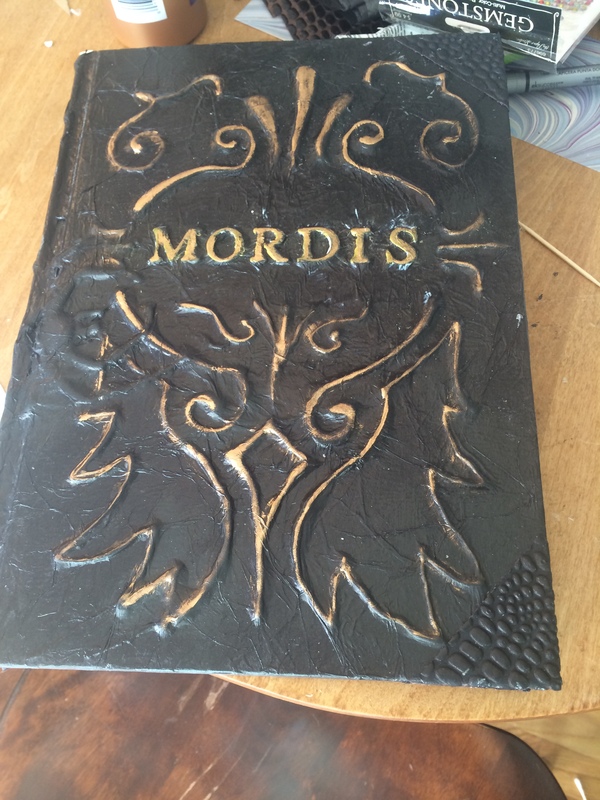 I never looked up Mordis to see if it meant anything. It sounded like a likely title for an occult how-to book. I believe one of my superb aunts or my mom came up with the original idea, and when we visited, my mom got us some Reader’s Digest collected works (why would they even print those?) and we went to town, leatherizing and decorating them to be as witchy as possible. This is but a small taste of the things my mom and her own sisters have done to make Halloween the most decorated of all the holidays, after Christmas.